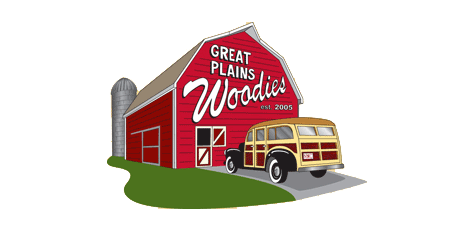 Membership in the Great Plains Chapter is open and encouraged for any member of the National Woodie Club in the entire northern Great Plains region. There are currently no annual dues. Great Plains Woodies will participate in "Vintage Wheels at the Fort", at Fort Omaha, 30th and Fort Streets, Omaha, Nebraska on Sunday, August 17th 2014 from 9:00 AM to 4:00 PM. This event is open to pre-1960 cars and trucks that are original or restored to original. Sponsored by the Douglas County Historical Society and the Meadowlark Model A Ford Club. There is no entry fee. Enjoy a free tour of the General Crook House Museum. Lunch, drinks, and snacks will be available. Anyone with a woodie is invited, and this is a great chance to display your woodie in a very relaxed and historic setting to a truly appreciative crowd.